EA is starting us down this Raod to Battlefield 1 and the release of the latest in the series, Battlefield 1, later this year by giving away the expansions for previous titles in the series for free. 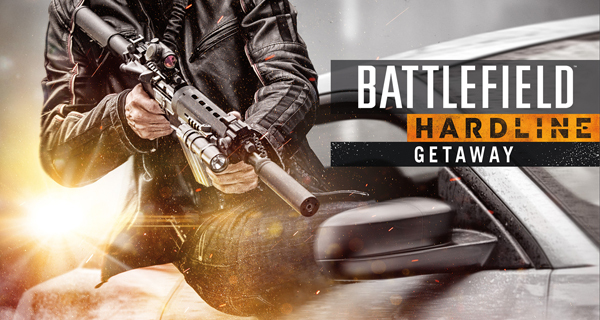 First up, the Battlefield Hardline Getaway expansion. From now until June 7th the expansion is free for players on PS4, PS3, Xbox One, Xbox 360, and PC. Now you'll need the release game to play the expansion, but if you have that vanilla version and want to extend that old play through with some new content, be sure to log in this week to the store of your choosing and pick it up. More info can be found on the official site which also has links to the relevant stores. The freebies should continue as the year progresses, with Battlefield 4 content joining that from Hardline. So keep an eye out for that and we'll report on it when it comes across our desk.